Paul lives in Wales and has been a prison governor for 8 years. Before that he performed ceremonial duties at Buckingham Palace in the Coldstream guards. 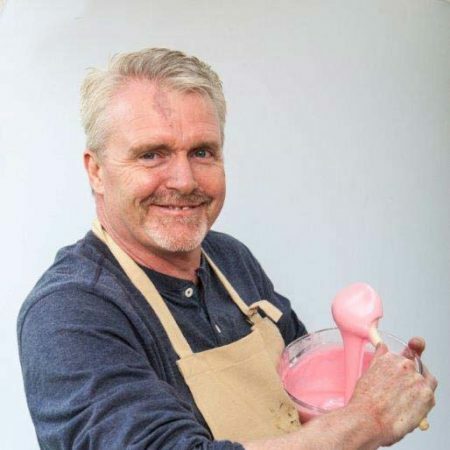 He sees being in The Great British Bake Off as “an opportunity to show that men like me, stereotyped by our jobs do and can love baking and that it is a skill and talent to be proud of.” He may have a demanding authoritative job, but Paul enjoys learning intricate skills like sugar-work to make his bakes beautiful. When not baking, Paul loves the outdoors and exploring the Welsh countryside with his wife and three sons.